Since 2006, Ivory Coast has been known as the soccer team that helped end a civil war. A trip to Abidjan reveals that the story is far more complex. It is Wednesday afternoon in Ivory Coast, the country where we’ve been told that soccer can end wars. And here in Abidjan, tucked behind a row of concrete homes decorated with clotheslines and satellite dishes, we have a staging ground for just the sort of scene that draws foreign sports reporters to town. Teenagers nod their heads to the French hip-hop bleating from their cell phones. Old men huddle together, sharing a patch of shade. Orange Peugeot taxis belch exhaust to be inhaled by the motorcyclists who trail behind them. And right there, on the large dirt clearing that sits in the center of it all, there are children playing soccer on a former battlefield. Scenes like this evoke a famous legend about Ivory Coast: During the mid-2000s, this neighborhood, Yopougon, played host to some of the worst violence in this country’s civil war. Yet that war ended in 2007, thanks in large part to the unifying force of the Ivorian national soccer team and the desperate pleas from Didier Drogba, Les Elephants’ striker and the country’s biggest star. Or so the story goes. 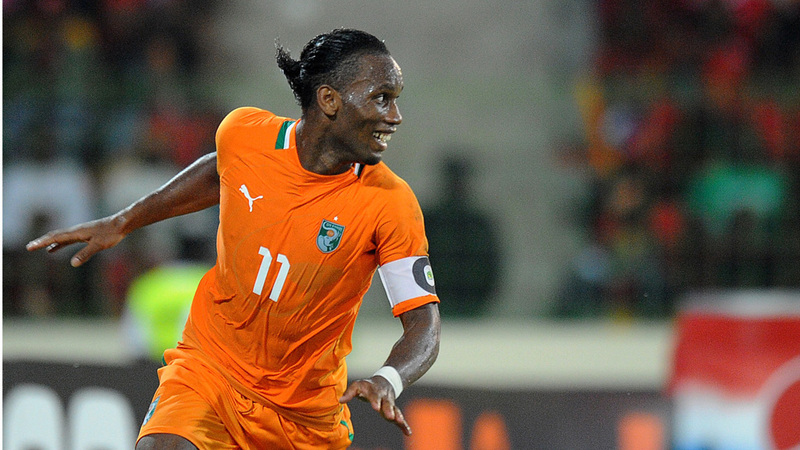 “Didier Drogba brings peace to Ivory Coast,” read the headline in the Telegraph of London. Drogba’s 2008 biography was titled Portrait of a Hero, and though the subtitle of a 2010 Sports Illustrated profile conceded that Drogba didn’t “single-handedly” end the war, the headline named him “Soccer Savior.” And the mythmaking hasn’t been limited to the sports pages. If you go to Wikipedia’s entry on the Ivorian civil war, you’ll find the role of the national team mentioned in the very first paragraph. So now here we are: Peacetime in Abidjan, watching a generation of youth players too young to remember a time when Drogba wasn’t a god and when the Elephants weren’t Africa’s most talented team, at a tryout for the youth academy of ASEC Mimosas. This club produced national team members and international stars Yaya Touré, Salomon Kalou, and Gervinho, and the boys on the pitch are playing for a chance to follow in their footsteps. The best will be invited to another round of tryouts, where they’ll compete with talent from all over Abidjan and beyond. For now, they play until the sun nears the horizon, until a French coach in an ASEC polo calls the group into a huddle. “Whoever we choose,” he says in French, “needs to come to the next tryout with proper equipment.” The children nod. Most are attired in soccer cleats and athletic gear, but some wear denim shorts. Others are in flip-flops. Still others have no shoes at all. He starts down the list. A few kids hear their names called. They squeal. Most sit waiting for a moment of joy that never comes. They gather their things and begin to walk away. Afterward, I get the attention of Sery Narcisse, a 14-year-old midfielder chosen for the next round of tryouts. He’s proud, he says through my translator, Mermoz. Today he took another step toward becoming a professional soccer player. “Who’s your favorite player?” I ask. By this point, I’m confused. I’ve been in Ivory Coast only a couple of days, but I’ve asked about a dozen kids to name their favorite players. I’ve heard Messi and Ronaldo and Ibrahimovic, and even Karim Benzema and Sergio Busquets. A kid in a Drogba jersey told me, with a big smile on his face, just how much he loves Samuel Eto’o. But no one has mentioned Drogba himself. Nor have they mentioned Touré or Gervinho or, for that matter, any other Ivorians. I’ve seen plenty of evidence that Ivorians love Drogba and his teammates, but I’ve found none of the idol worship I’d been led to expect. According to what I’d read, this was the country where soccer has saved lives, the one place on Earth where the athletes could still be called heroes. And here we were, in the very neighborhood where Drogba spent part of his childhood, and this kid wants to talk about Xavi? Sery shrugs and grins at once, like he realizes he’s violated the script. Allow Cyrille Domoraud to explain. He’s sitting in a fat leather chair in an air-conditioned office several stories above the streets of Deux Plateaux, the Abidjan neighborhood that’s home to diplomats and Western journalists and a chunk of the Ivorian elite. Domoraud is 5-foot-11 and 42, thick in the way of so many former athletes. He looks like a month of training would transform him back into the ruffian who patrolled the back lines of Marseille and Inter Milan. He leans forward, looks at me through his designer glasses, and begins to tell a story. It was October 2005. A civil war, pitting forces divided along blurry and sometimes-shifting ethnic and regional lines, had left thousands dead. Violence had touched almost every corner of the country. Though fighting had slowed that year, tensions remained, and the upcoming national elections threatened to end with armies rallied and more civilians killed. Meanwhile, the members of the most talented generation of soccer players in Ivory Coast’s 45-year history were approaching their primes. Domoraud was joined in the back four by then-Arsenal fullback Kolo Touré, whose brother Yaya (then starring for Olympiakos) looked like a longtime anchor in the midfield. And up front there was Didier Drogba, the Chelsea striker and burgeoning star. October 8, 2005, represented the most important moment of these players’ careers. Before 20,000 fans at Al-Merrikh Stadium near the banks of the Nile River in Omdurman, Sudan, they had beaten the host country 3-1 in the final game of World Cup qualifying. Les Elephants would be going to their first-ever World Cup. Their country, still technically at war, would have one team for which they could all cheer. A team that reflected Ivorians’ ethnic diversity. A team that now huddled in the locker room, arms around each other’s necks, celebrating as if there were no war or no political strife, as if nothing in the world existed outside of that room and those men. “We were playing for ourselves first,” says Domoraud. “But we all wanted to show that we were united. We didn’t really talk about it, but we were all thinking the same thing. If we win, if we qualify, we need to send a message.” After settling down, Domoraud, the captain, took the microphone from a television crew that had been filming the celebration. He saw an opportunity to address his country. But rather than talk into the cameras himself, he handed the mic to Drogba, the man on his way to becoming African soccer’s brightest star. Drogba, whose family came from the region of the country that represented one side of the conflict, gripped the top of the microphone and peered into the camera. Behind him, Kolo Touré, whose hometown of Bouaké was a stronghold for the war’s other side, draped his arm around Drogba’s neck and looked on. Behind them, teammates stood on benches and peeked over shoulders so that they, too, could stare directly into homes across their country. The clip was played and replayed on television networks around the world. By the time the 2006 World Cup kicked off, Les Elephants arrived with a tidy and heartening story line. This was the team that had brought peace to its country. Tales of the team’s unifying power continued beyond the 2006 World Cup. 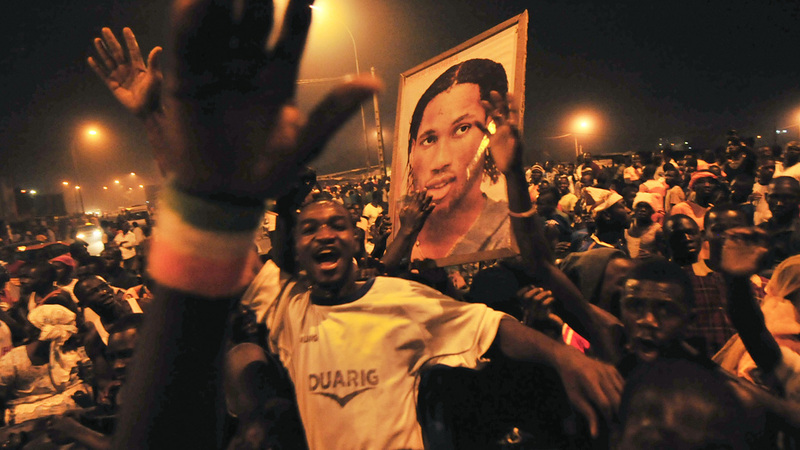 In 2007, Drogba requested that an African Cup of Nations qualifier against Madagascar be moved to the rebel capital in Bouaké. His message was clear: Rebel supporters are Ivorians too. To hell with politics — they had the same right as all their countrymen to watch Les Elephants play. And what about now? Eight and a half years after that win over Sudan, what does the team represent? Alain Gouaméné has some ideas. He’s another former soccer player, one of the only Ivorians to have ever earned an international trophy, back when he was goalkeeper for the 1992 team that won the African Cup of Nations. During that tournament, he reportedly kept an elephant’s tooth in his cleat. As the story goes, a holy man from one of Ivory Coast’s traditional religions told Gouaméné the tooth would make him as large as an elephant in goal. He went on to keep a clean sheet for the entire tournament. Today, Gouaméné is slender and graying and regal. He carries himself with the affect of a man who likely spends considerable time sitting by his swimming pool and watching pet parrots wander around his backyard. So here he sits on a Thursday afternoon in Abidjan, and right there is his high-walled stucco villa, and over there is his small but pristine pool, and just to its left are those parrots, wandering to and fro across the lawn. Any other time, those parrots — or parakeets or macaws or whatever they are — might be a distraction. But not right now, because Gouaméné is talking about soccer, and when Gouaméné talks about soccer you’d be a fool to focus on anything else. “This team was supposed to win trophies,” he says. “Look at the players on this team. Look at the clubs they play for. Yaya Touré — Manchester City. Gervinho — Roma. Kolo Touré — Liverpool. Drogba and Kalou both played for Chelsea. And what have they won together? Nothing.” Few in Ivory Coast expect Les Elephants to win a World Cup anytime soon. But even by more modest standards, this group has underachieved. In their two previous trips to the World Cup, they were drawn into each respective tournament’s group of death, and Les Elephants did not advance past the first round. But Ivorians are more disappointed by the team’s failures in the African Cup of Nations. The 2006 team, fresh off its plea for peace in the country, lost to Egypt in the final on penalties. For nearly a decade Les Elephants have been called Africa’s best team, but they’ve gone 0-for-5 in pursuit of continental trophies during that time. Hypocrisy. “Maybe for 90 minutes everyone is watching the same team and cheering,” he says. “Or maybe for 90 minutes everyone is cursing the coach. But then those 90 minutes end, and everyone goes back to where they were. It’s a mirage.” Gouaméné casually mentions an uncle in prison, cited as evidence that the country’s rifts still remain. Minutes later, Mermoz and I leave for another meeting across town. In the taxi we replay the conversation, and I ask him to clarify Gouaméné’s reference to his uncle. Gouaméné had mentioned him offhand, as if he were some political bit player doing time on a trumped-up charge. Laurent Gbagbo is no bit player in Ivorian politics. Nor is he spending time in local jail. Gbagbo, rather, is a former president and an alleged war criminal, a man who is currently being detained at the International Criminal Court in The Hague. He faces charges that include four counts of crimes against humanity. In April 2011, pro-Ouattara forces arrested Gbagbo, and almost eight months later he was extradited to The Hague to await trial. The dictator was in prison and the politician with the electoral mandate and support from Western democracies took office. Only Ouattara hasn’t governed exactly how diplomats hoped he would. His administration has charged pro-Gbagbo forces for atrocities committed, but Ouattara has left the criminals who fought for his side alone. Now, with the economy recovering but yet another president selectively enforcing the law, Ivorian society remains divided. “When you get past the unity talk and find people who aren’t scared to say how they feel,” says Matt Wells, a former Human Rights Watch researcher who compiled evidence showing the extent of Gbagbo’s abuses, “you see that all of the cleavages in the society are still there. And they’re still very deep.” Attacks have been reported in Duékoué and elsewhere in the western part of the country. Anger among soldiers — those who fought for Gbagbo and lost, as well as those who fought for Ouattara but weren’t rewarded with jobs — has festered. Ivory Coast is peaceful but tense. And Ivorians know how quickly tension can turn to war. So maybe Drogba isn’t a savior. Maybe winning a few soccer games didn’t spare that many lives. That narrative always carried a whiff of fantastical simplicity. In the United States, for instance, we’re supposed to know that politics are complicated. That wars are determined by people who fire weapons, pass bills, and sign executive orders. Not by people famous for striking a soccer ball. Nevertheless, in Ivory Coast, this small African country that many Americans would struggle to find on a map, the myth of Les Elephants created an image of a place unburdened by that complexity. It was oversimplified — an image of a civil war that had been ended by a soccer star. Of an entire country somehow distilled into a lesson about the inspirational power of sport. Of a nation of fans so loyal and devoted to their team that they could forget generations-long rivalries simply because their soccer stars asked them to. And if you believe in that image, that version of history, then I have a bridge to sell you. Ivory Coast is not simple, because no country is simple. And this image, hammered home by a Bono-narrated ESPN ad that ran in 2010, contributes to a subtle infantilization of African fans. Just as Ivorian politics aren’t dictated by athletes, Ivorian athletes aren’t celebrated by blindly loyal supporters. Their fans are just as cynical as ours, perhaps even more so now, because with the team’s core players aging and this likely to be their last World Cup together, Ivorians are beset by the suspicion that their team will continue to fail. Minutes later we’re surrounded, a crowd of teens and twentysomethings packed around the counter and spilling into the street. To my right, there sits Go Fabrice, who is, unlike many of his compatriots, an optimist. “This year will be better than 2010 or 2006,” he says. “The only reason we didn’t advance before was because we were in the hardest group both times. Now we’re in the easiest group.” On this, he’s right. The Ivorians are drawn into Group C along with Colombia, Greece, and Japan. Not exactly a group of death. But Fabrice can’t even get to his next point before Dakro Ange, sitting to my left, interrupts. “We can’t be happy with just getting out of the group,” he says. “We have too many good players, but we don’t have a team.” He’s getting at the core irony that leeches into conversations about this squad and what it means to the country. After years of talk about Les Elephants as a symbol of national unity, rumors persist that the players aren’t united at all. This is largely conjecture — the Ivorian market’s answer to Philadelphia sports-talk radio. But there are also legitimate reasons to suspect strife within the national team. Drogba is beloved by his countrymen and celebrated around the world, but in some senses he’s one of the least Ivorian members of Les Elephants. The Touré brothers, along with Gervinho, Kalou, and others, all came through the same youth academy, ASEC Mimosas in Abidjan. They’ve been teammates since childhood. Drogba, meanwhile, was born in Abidjan but grew up primarily in France. He went from youth squads to the French leagues to Chelsea, without ever playing for an Ivorian club. Fans still love him, but many Ivorians speculate that among the players, Drogba’s international upbringing and Premier League fame have fostered dissent. “It’s time for this to be Yaya’s team,” says Fabrice, the optimist. “Drogba needs to give up the captaincy.” This, to most people I’ve talked to, would sound like sacrilege. Bring up Drogba and there’s nothing but praise. 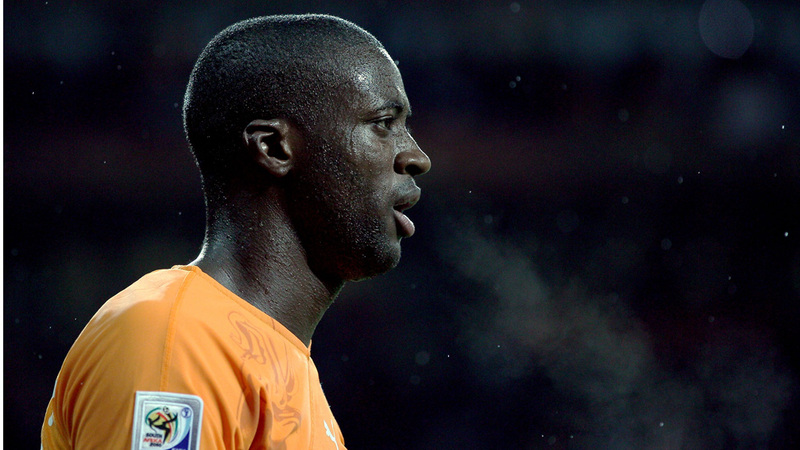 Yaya’s name, meanwhile, is often met with annoyed ambivalence. As Yaya has grown into one of the world’s greatest players, he’s begun facing the clichéd criticism levied at many of his on-field peers. Amazing for his club, apathetic for his country. Maybe the anti-Yaya mood could be flipped by traveling north. So far, I’ve spent most of my time in and around Abidjan. Not only was Drogba born in Abidjan, but he comes from the Bété tribe, the same as Laurent Gbagbo, a group with roots in the nearby southwest. To hear different opinions on Yaya, I take a bus to the Touré brothers’ hometown of Bouaké. During the civil war, Bouaké had been the home of the rebellion. When violence reignited during the 2011 election standoff, the city became a hotbed of Ouattara support. For years, many in Bouaké had opposed the government. No longer. The fighting ended. Their side won. Despite all that history, Bouaké’s most famous natives are soccer players, not politicians or generals. And on this Sunday afternoon, Mermoz and I search for a place to watch them play. Kolo Touré’s Liverpool team has a match with Chelsea, and afterward, his brother Yaya and Manchester City play Crystal Palace. We find an outdoor café tucked off a main drag, hidden behind some loose cinder blocks and under a tin roof. More than a dozen men sit scattered in plastic chairs around plastic tables, sipping Coke and Orangina, eyes trained on a flat-screen TV. One man flips through a stack of bootleg DVDs for sale. Another rocks a sleeping baby. None pays any mind to the chicken that darts around beneath the tables, picking at crumbs left over from lunch. Kolo isn’t in the lineup for Liverpool, so the match appears free of Ivorian influence. But in first-half stoppage, Liverpool’s Steven Gerrard slips and gives possession to Chelsea’s Senegalese striker, Demba Ba, who slots home an easy goal. Kolo’s squad trails 1-0. And yet all around the café, they are suddenly standing and screaming, high-fiving and shouting at each other: “Demba Ba!” When the room settles down, I turn to the man with the foot-high stack of DVDs. Why is everyone here rooting for Chelsea? But, I say, Drogba hasn’t played for the Blues since 2012. While Drogba’s dual identity as an Ivorian and a Frenchman might affect his relationships among Les Elephants, it has no bearing on his standing with the fans. He may not have single-handedly ended a war, but there’s no question that he’s an Ivorian, and even at 36, he remains the country’s biggest star. Still, I’m eager to see how Bouaké responds to one of its own. Mermoz and I hang around a while longer, waiting for the Chelsea game to end. Yaya’s Manchester City is up next. Yaya has been dealing with a thigh injury. This is his first game back. He’s the highest-performing Ivorian, perhaps the best midfielder in the world, maybe the biggest star this city has ever produced, and just before the City match kicks off he appears onscreen in his light-blue jersey, Bouaké’s native son. “No one loves Yaya the way they love Drogba,” says the man, who tells me his name is Florent Tagrao. Understandable, sure, but I imagine there must be a connection between Yaya and his hometown. Like many in Bouaké, Yaya and his brother are Muslim. And though no players took public sides during the crisis, Yaya is among the only national team players who grew up in the region once controlled by anti-Gbagbo rebels. Surely, in a country so divided, certain ties supersede a bias toward strikers. Right? I ask: Don’t people feel a special connection to Yaya and Kolo? Don’t they feel more proud of them because they’re from Bouaké? At this point, Mermoz jumps in. “People in this country disagree,” he says, “but that’s only about politics.” In other words, this conflict didn’t arise because members of certain tribes or certain religions hate each other. It arose because leaders of rival factions in Ivorian society wanted power, and those powerful men exploited tribal and regional and religious differences to obtain influence. Throughout Ivory Coast, Muslims and Christians and practitioners of traditional religions remain colleagues and friends. Marriages are common between members of different tribes. The notion of a tribal war, or of a religious war, rings hollow in a society where people intermingle seamlessly despite their differences. So, no, people in Bouaké don’t love Touré any more or less because he’s one of their own. He’s just another Ivorian to them, just another player who they’re hoping can deliver a moment of brilliance at the World Cup. And just when I think that Ivorian soccer and politics are completely divorced — that learning about one will tell you nothing about the other — something catches my eye while Mermoz and I ride a cab out of town. Rumbling down Bouaké’s main drag, I look out the window and notice a man in a national team jersey. It’s a common sight — wander around Ivory Coast and you’ll see at least a dozen every day. But on the back of the jersey, I see that the shoulders have been stitched with an unexpected name. Not Drogba, not Touré, not Kalou or Gervinho. The name on the back: Alassane Ouattara. It is as if, the jersey suggests, Ivory Coast’s new president is a member of the team. The point is, though they matter politically and economically, Ivory Coast’s borders are culturally artificial. As in much of Africa, these boundaries were drawn by colonialists. So the very idea of Ivory Coast, of this region in West Africa that now functions as a sovereign state, is a foreign construct. Traditions built by tribe and faith and family stretch back centuries. The nation of Ivory Coast has existed for only 54 years. This explains what happened, several Ivorians believe, in February 2012. Les Elephants had reached the final of the African Cup of Nations — their deepest run since before the end of the first civil war. Among some Ouattara supporters, the team’s success was understood as a sign. Now that Gbagbo had been ousted, a new president meant the national team would achieve newfound accolades. But that final ended 0-0, so on that night in Libreville, Gabon, Les Elephants and the Zambians went to penalties. Seven Ivorians converted on their penalty chances, matched goal-for-goal by seven Zambians. Then, finally, Les Elephants came undone. Kolo Touré and Gervinho both missed. The most talented team in Africa had once again come up short. And Zambia, a country that has never qualified for the World Cup, lifted its first-ever continental trophy. When the Ivorian plane touched down back in Abidjan, the team was met by a throng of Ouattara supporters. They celebrated the second-place finish as a success. With their man now leading the country, they believed, the national team’s curse had been lifted. In 2006 and 2010, the World Cup’s international audience learned how the national team had united Ivorians. But by 2012, as political fortunes shifted, a sizable number of Ivorians had supposedly been rooting for their team to lose. When Les Elephants arrive in suburban Dallas at the beginning of June to hold their pre-Cup training camp, I manage to steal a moment of Drogba’s time. I want to ask him about his life as a hero in a country that has only intermittently been his home, about what impact he had in soothing tensions during the war, and about what role he can play in his country’s future. Moments later he jogs to the locker room, but the next night he returns to the field, now in full uniform, warming up as the stadium fills with fans. The crowd — a sea of blue-and-white El Salvador jerseys — reflects Texas’s large Latino population, but just behind the south goal there is a pocket of Ivorian orange and green. But tonight, in the 42nd minute, there’s cause for joy. Gervinho makes a run down the left side of the field. Drogba cuts toward the near post and Gervinho delivers a cross to Drogba, who thumps the ball past the goalkeeper and into the net. It’s a moment of aggressive, gorgeous soccer, the sort of play that has teased Ivorians for the past nine years. But now, for at least tonight, Les Elephants seem ready for Brazil. They look like a team that will score and celebrate and entertain. They look like a team that can win. On the far end of the field, fireworks explode below the now orange sky. The pocket of Ivorian expats dance and scream. Some wear T-shirts that show a map of their country divided into its main regions: north, south, center, east, and west. Below is the phrase “On est ensemble.” We are together. And at least for tonight, that rings true. It’s a moment for celebration and unity, but ultimately it will have little effect on Ivory Coast’s future. The sun has faded here in Dallas, but morning will arrive soon in West Africa. And the politicians who control the country are there, perhaps still sleeping, 6,000 miles away in Abidjan.